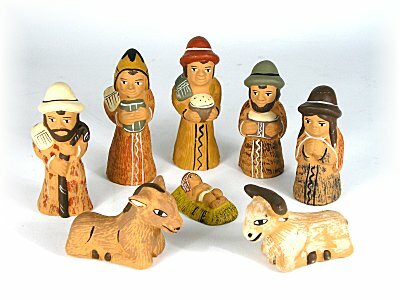 Hand painted clay Nativity scene. Another beautiful display of the Peruvian artisan's detailed craftsmanship. 8 pieces, tallest is 3 in. high. No two sets are alike.